NOW IS A GREAT TIME TO INVEST IN A SKIDS FRANCHISE…. LET’S GO! 3. IS SKIDS THE RIGHT FIT FOR YOU? Becoming a sKids franchisee is exciting, its challenging, but most of all, its rewarding! Everyday you have an opportunity to make a difference for parents, families and schools in your local community. 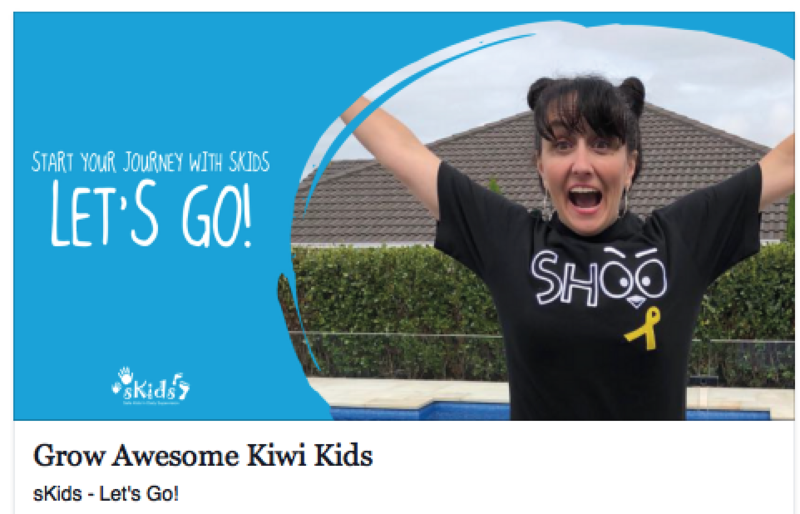 New Zealand’s Out of School Care (OSCAR) industry is thriving and families need quality OSCAR programmes. Now is the time to start the journey. You will be your OWN BOSS, with the support of a solid business network behind you. 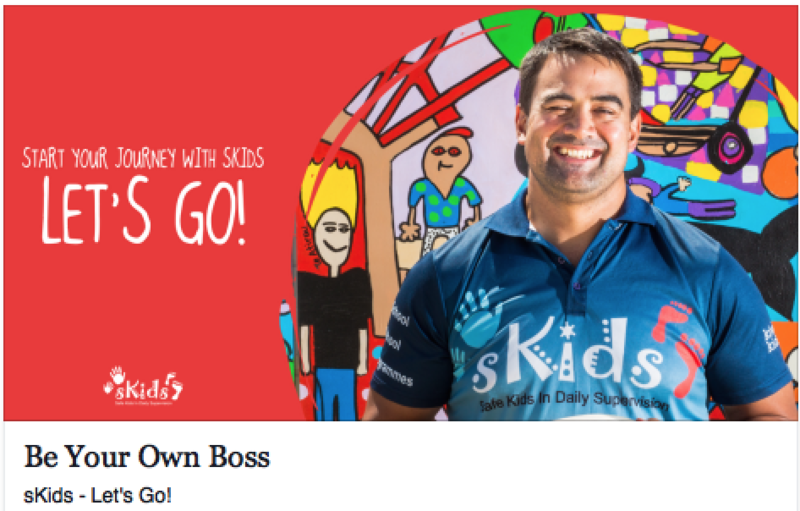 Access to a SUPPORT NETWORK of successful, experienced franchisees, via the sKids family of franchisees. NO BRICKS & MORTAR. Your business typically will use existing school premises, so there are NO high establishment costs. SPECIALTY PROGRAMMES to run alongside OSCAR programmes, adding value to the children’s experience. industry leading safety programmes developed by our experienced head office team with ONGOING TRAINING AND SUPPORT. LET’S GO, FIND OUT MORE! 2. INSIGHTS FROM OUR FRANCHISEES? Our Franchise Owners come from all backgrounds, from managerial roles, education, sports and recreation, to customer-facing or service-based industries. But what they all share is a passion for working with children and a desire to drive the success of their own business. sKids is where my passion meets my skill base. I’m a firm believer that it takes a village to raise a child, and for the kids who spend quite a lot of time with us, we’re a part of that village for their families. For me it’s about growth as a manager. I always aspired to be a principal. You’re not just a childcare service – you’re a family service. to become a successful sKids business owner. A passion for working with children! Teachable, resilient, sense of humour and commitment to doing things the ‘sKids’ way. Strong leadership skills for developing an awesome sKids staff team. Superb organisational skills; there are lots of balls to juggle. Buying a franchise is a big step with lots of things to consider. We have a ‘path-to-ownership’ plan that outlines the key steps in the becoming part of sKids, making it easier to embark on your sKids journey. 4. TAKE TIME TO REFLECT? 8. OPEN YOUR FIRST PROGRAMME! 5. START YOUR JOURNEY HERE! 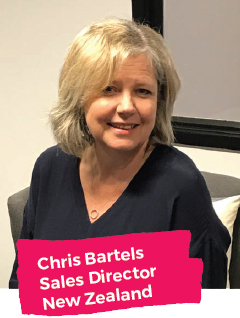 Your first step is to touch base with Chris Bartels. This non-obligation chat will give you an idea, if investing in a sKids centre is right for you. MAKE A START, CONTACT CHRIS TODAY!